Hi everyone! We had a fantastic weekend full of food (okay, and cleaning). Here’s what we ate! On Friday night we celebrated our friends’ recent engagement with dinner at the Stanbury. Everything we had was delicious, but my favorite was the scallop crudo. We’re super excited for our friends as they start a new chapter in their lives, and this was a great place to celebrate! On Saturday, we spent most of the day cleaning and decided to relax and eat dinner at home. 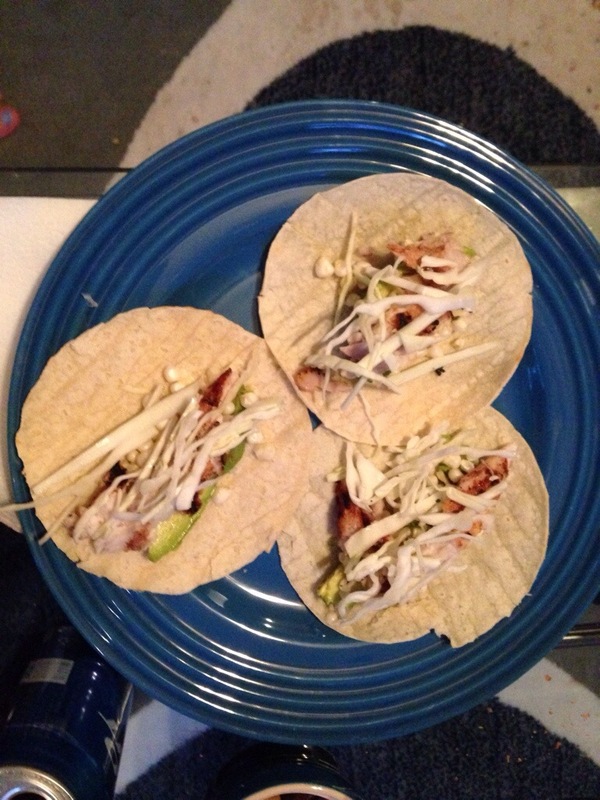 I made bbq red snapper tacos, inspired by the bbq mahi tacos at one of my favorite restaurants. Easy, healthy, and delicious. On Sunday, we started the day with a bowl of this quick but delicious granola, yogurt, and sliced peaches. And lots of coffee. We’ve learned that buying a big house with two full time jobs sometimes means we need to just take a weekend and hit the reset button–especially when it comes to our bedroom, which we probably had not cleaned in a somewhat embarrassing amount of time. Nick worked so hard this weekend! I thought he deserved a special reward, so I made him a perfect summer cocktail on Sunday night. 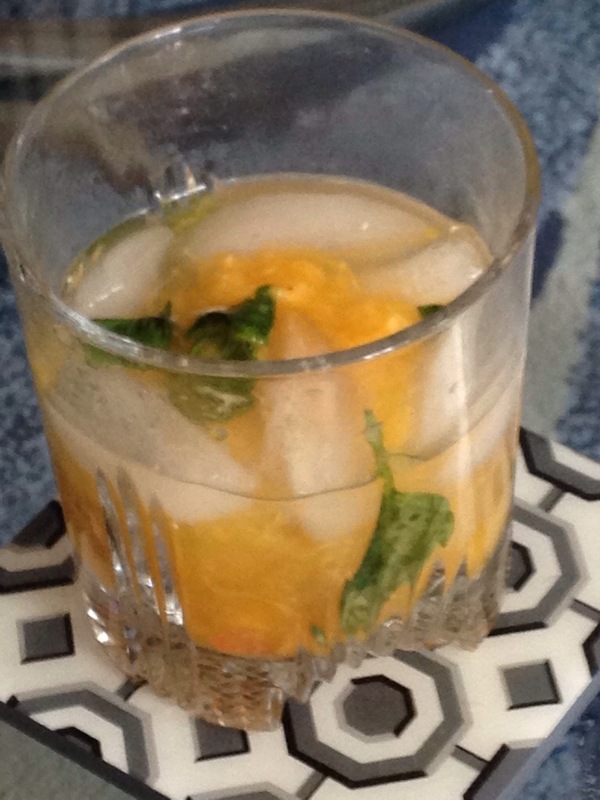 I peeled and muddled one peach (one beautiful peach from my favorite lady at the farmers’ market) and a couple of basil leaves. I then added bourbon and ice, and there you have it. It was too strong for me, but Nick just loved it. Ever since my parents bought us a smoker, our Sunday dinners have changed for the better. 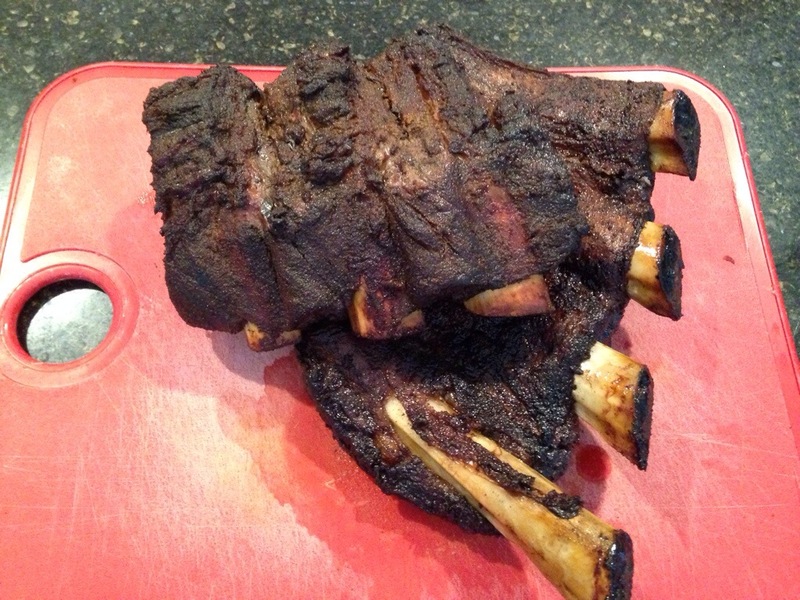 We started a rack of beef back ribs around lunchtime on Sunday, and by 6 pm they were perfect. I also sliced up some of our garden tomatoes and drizzled them with olive oil and salt, and steamed some white corn. It was a delicious seasonal dinner, and I am looking forward to many more adventures with our new toy. What did you eat this weekend?